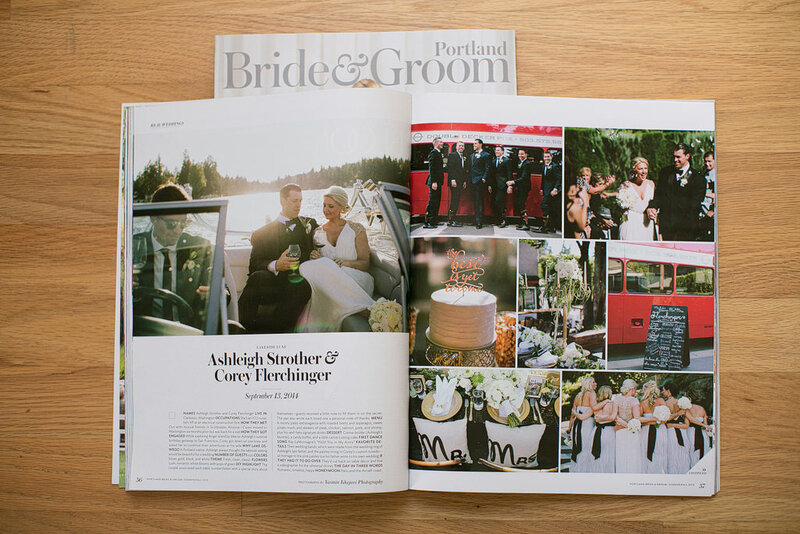 Ashleigh and Corey’s dream wedding on the lake in Lake Oswego is published on a three page spread in the latest issue of Portland Bride & Groom Magazine! This wedding was so romantic and fun! And, the best part is that Ashleigh and Corey are such sweet, loving people! I’m so happy their wedding is published!